Wait...you may be wondering who are Mr. Shiso and Ms. Green Tea? 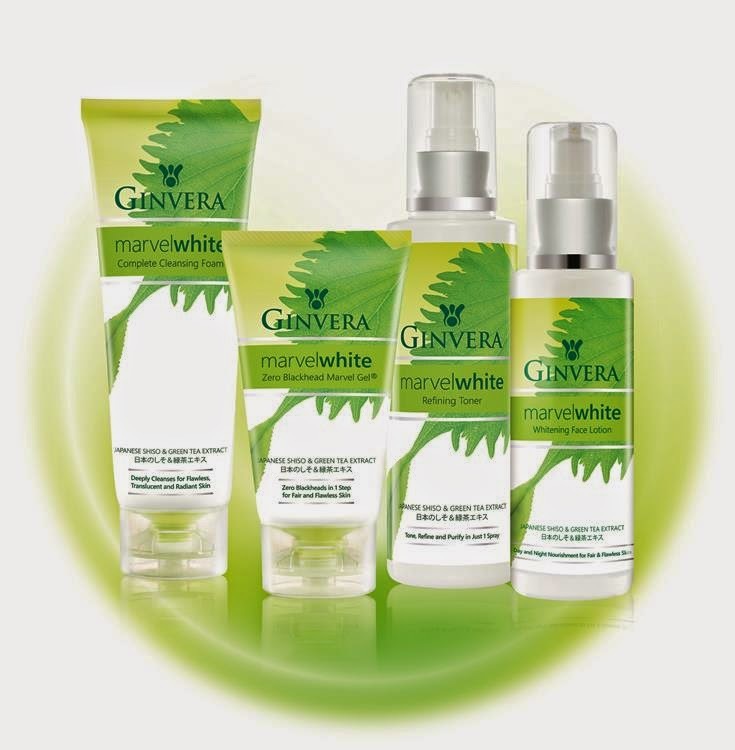 They are the 2 unique Japanese ingredients used to formulate the new and improved Ginvera Marvel White range. It's a unique launch of Ginvera's latest Marvel White skincare range. Shiso helps soothe the skin and relieve redness, while Green Tea offers antioxidant and whitening benefits. Aren't they simply the perfect couple on Earth? 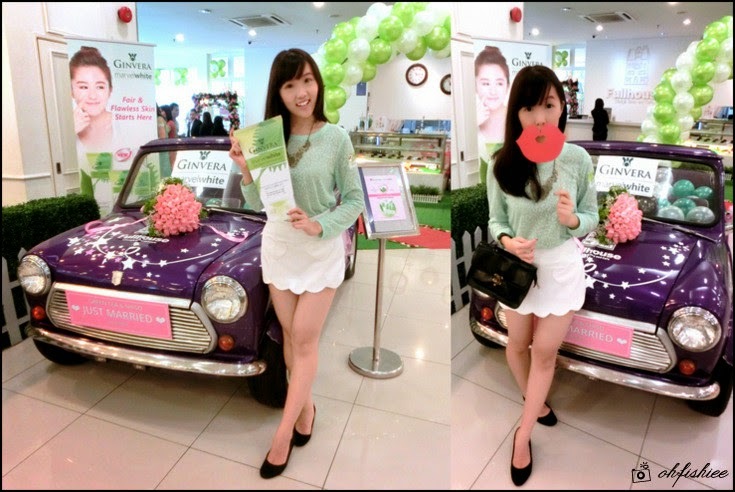 For those who are familiar with Ginvera, do you remember its bestselling Green Tea range for the past 10 years? Now it has been revamped with added benefits, and congratulations to Ginvera Marvel White for making its way into every young girl's skin! now fair and blemish-free skin is achievable in just 4 steps. Goodbye to stubborn blackheads! The star product in this range is of course the mighty Ginvera Zero Blackheads Marvel Gel, the one and only trusted marvel gel in the market! Unlike other facial scrub, it can be used everyday for blackhead removal thoroughly and painlessly. A facial demo using this Marvel Gel was done on the spot, and true enough, the pores on her nose were tightened and became less visible under the magnifying glass. Magical or not!! After a simple blackhead removal step, it is best to pair the Marvel Gel with the rest in the series for achieving the best result. Plus, all the facial cleanser, toner and moisturizer also give whitening and purifying benefits. I also tried the products on my hand, and indeed it made an instantanous effect to the complexion. 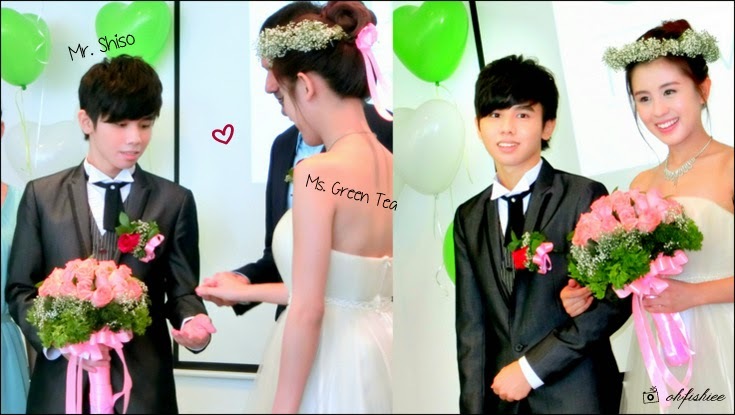 Happy Wedding to Shiso and Green Tea! 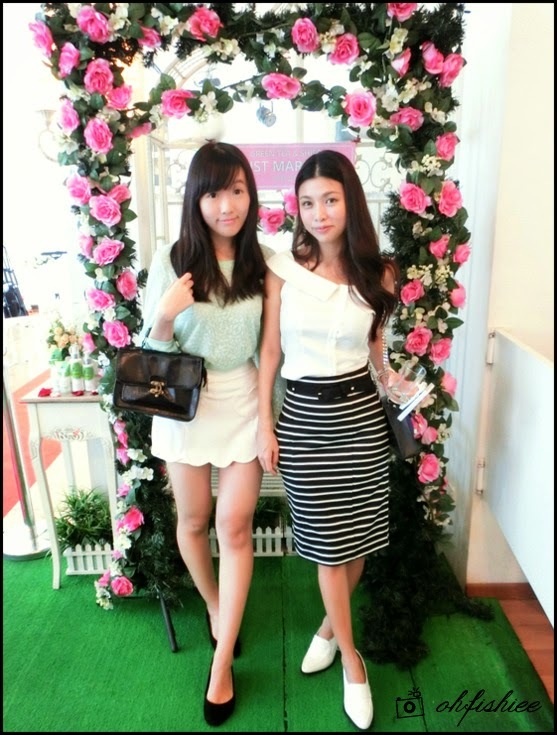 Bumped into Cheesie during the event :) Such a pretty mama she is! After having a flawless skin on the face and neck, don't forget to pamper your body too! In fact, I love anything with green tea. Stay tuned at this space for my upcoming review on Ginvera Marvel White!